This is a detailed and informed casebook examining all major aspects of property and contract law governing oil and gas exploration and development. It provides original text and explanatory materials. The appendices include sample forms. 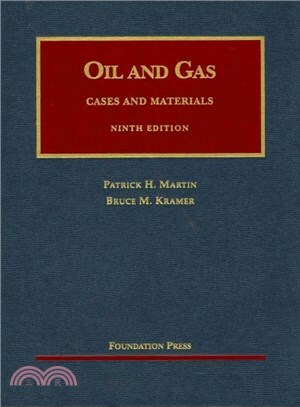 Chapter titles discuss: A Brief Introduction to the Scientific and Engineering Background of Oil and Gas Law The Nature and Protection of Interests in Oil and Gas The Oil and Gas Lease—A Close Look at Its More Important Clauses Covenants Implied in Oil and Gas Leases Title and Conveyancing Problems Arising From Transfers by Fee Owners and Lessors Transfers Subsequent to a Lease Pooling and Unitization; and Public Lands.